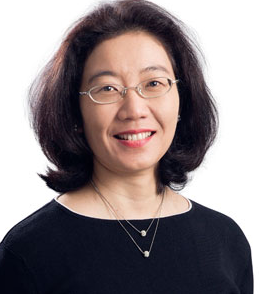 Dr. Jacqueline Chin, Associate Professor at the Centre for Biomedical Ethics, Yong Loo Lin School of Medicine, Singapore spoke in February on the subject of “Precision Medicine: Privacy & Family Relations” for CSSD’s project on Precision Medicine: Ethics, Politics, and Culture. Dr. Chin’s presentation underscored the leading pillars of privacy and family relations in connection with precision medicine. She espoused several focal points through which a humanistic conceptualization of the relevant issues might be achieved, including: the metaphor of precision medicine itself, the problem of genetic privacy, pragmatism and frameworks of choice, and enabling responsible choices in the context of precision genomics. “Precision Medicine” (PM) implies a certain model of medical care that is personalized and tailored to the individual. But “precision” itself is a cultural construction. The term connotes accuracy, and favors results that should be shared, generalized, and standardized, as opposed to ones that can be true about an individual case. In acknowledging this tension, Dr. Chin argued that PM amounts not to individually tailored healthcare, but rather to genetically based healthcare. Is precision necessarily a social or physiological “good”? By all accounts, central to PM is conceptualizing “genetic information.” As the literature makes evident, there is little consensus about what genetic information even is. Indeed, countless debates concerning when and on what basis genetic information is significant and to whom—and when such information should be kept private—continue to proliferate. The group found that these realities bring to light an important tension that should be qualified in our humanistic conceptualization of such emerging medical approaches, which is distilling whether PM is specific to an individual versus to a cohort of individuals that share a particular common trait or disease. On a more granular level within this framework, one might distinguish between the clinical versus research uses of the genome. That is, in the clinical context, the purpose is to deliver diagnostic and treatment information to a treating healthcare provider, and in the research context, a researcher is conducting a genetic analysis to explore a specific hypothesis that is independent of diagnosis or treatment for any one individual. We acknowledged that in these settings, from a privacy/disclosure perspective, the individual human subjects are not necessarily informed of the results of genetic analyses, and it was argued that healthcare professionals and ethicists ought to calibrate such communication practices with deference to ethical guidelines and patients’ rights. Thus, when we conceive of the PM metaphor, such distinctions and considerations are of import. Dr. Chin articulated that the term “genetic privacy” can be problematic when taken at face value (e.g., as if there were something exceptional about genetic information that necessitates special ethical attention or legal protections). Instead, she suggested starting with the observation that a general problem of privacy occurs when technological feats (such as data capture and storage, processing, and retrieval) are accomplished. In reflecting upon this conundrum, an important inquiry surfaced: Given the proliferation of public and private sector genetic databases and genomic research, and in light of function creep (e.g., the benefits of using technology in new ways), how might we reconcile attempts to somehow “draw the line” in crafting regulations/policies that protect identifiable information yet also leave room for advances in genomics? In grappling with this challenge, identifying the stakeholders is key. Drawing on philosopher Herman Saatkamp’s work, discussants considered the argument that pragmatism prioritizes the good over truth, and the idea that pragmatism is a vehicle for assessing what he terms the “new genetics.” What is perhaps most important here is embracing the complexity of the connection between genes, environment, and culture, and accordingly the urgency to redirect research efforts to developing “responsible” individuals. But many issues remain with regard to this line of thought, and a plethora of questions were raised in our seminar. For example, how might we define a responsible parent, and to what extent is that definition fluid? To what degree is being responsible context-specific, and is it a product of free will exclusively, or a combination of other forces within us, our environment, and our culture? Finally, how possible is it to achieve a pragmatic directive for parents to use genetic information in child rearing? While these issues cannot be solved in a brief discussion, one of the prevailing arguments asserted that given the complex biological and societal nature of human beings, single genetic traits are likely less responsible for determining complex human actions, whereas the perspective that draws upon both genes and environment is more convincing. The other work we reviewed in this context is that of Sleeboom-Faulkner’s frameworks of choice writings. What was most thematic in our discussion was that while reproductive governance is a function of social individuals and of the state’s regulatory impositions, the reality remains that individual choice and free will wildly varies depending on the context (for instance, in response to community and cultural norms, which may produce coercive or poorer outcomes). Additionally in this vein, one’s choice has the potential to be constrained or restricted by social and economic limitations, such as conflicting religious values or financial barriers that prevent or disable access to a given genetic test or treatment. As Sleeboom-Faulkner argues, the relative bioethical permissiveness of state and local governments influences the degree to which populations participate in, and benefit from, genetic testing. Another issue that Dr. Chin emphasized related to precision genomics and enabling responsible choices. The topics she highlighted included the importance of the force of the law in protecting individuals from being coerced into undergoing genetic or whole genome testing, and the notion of sharing such test results “responsibly.” In considering the latter, for instance, what might be an appropriate way to arrive at decisions to inform next-of-kin in consideration of family members’ interests? In a perhaps-controversial conviction, Dr. Chin posited that individuals who undergo genetic or whole genome testing should be required to consent to sharing relevant results with close family members who desire to access the information. She argued that families should be notified so that they can choose whether or not to apply for access to a family member’s findings and undergo testing themselves. This set of claims produced a wave of skepticism among some working group members, who questioned what the scope of the “family” would entail (e.g., “close” family? Only those with whom one can establish trust? All blood relatives? Would it also include people with whom they are thought to have a reasonable degree of trust in? ), and to what extent moral, relational, or other civic duties might bolster or compromise such an obligation to disclose. Another response underscored the notion of risk stratification: as it stands now, PM is more so an issue of risk, as opposed to identifying a particular variant that may be indicative of someone’s potential to inherit or develop a particular condition. So perhaps the extent of the obligation to disclose hinges on the notion of actionability—the degree of information that is actually useful to patients or not. To calibrate, Dr. Chin did acknowledge that the right of individuals not to know and to make their own judgments about the risks to privacy of undergoing genetic testing should be protected. Still, a strong argument in favor of disclosure remains, which is that PM succeeds only if people do share information—in essence, sharing information is part of the “deal” of PM, and without it, PM may not materialize as expected.